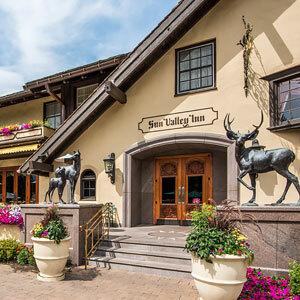 At Sun Valley, there are eight different types of cottages to stay in, each with its own charm and unique details. 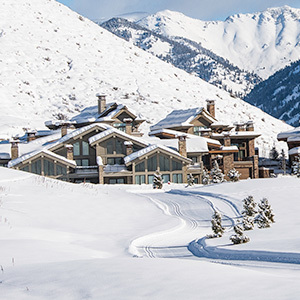 Ranging from two bedrooms to seven, each cottage vacation rental is within a quick stroll from Sun Valley Lodge and all that comes with it. 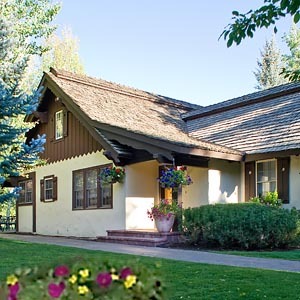 The Sun Valley Lodge is at your doorstep when you stay at the President's Cottage vacation rental. 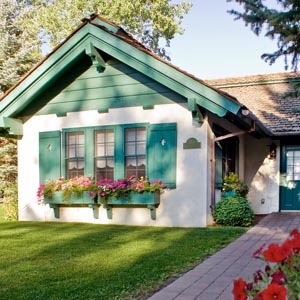 This cozy cottage has two bedrooms: one with a king-size bed, one with a queen-size bed. There is a large living room with a wood-burning fireplace, a dining room with seating for six to eight, and a full kitchen. 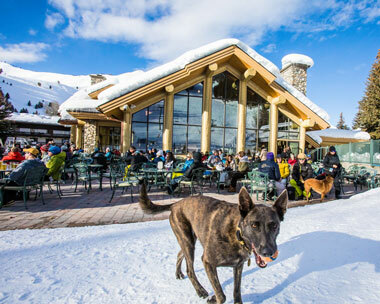 Located near the Sun Valley Lodge, the Guest Cottage vacation rental is like your own home on the mountain. This two-floor cottage has four spacious bedrooms. The first floor hosts the living room with gas fireplace, the dining room, the kitchen, a master suite with a king-size bed and another bedroom with a king-size bed. 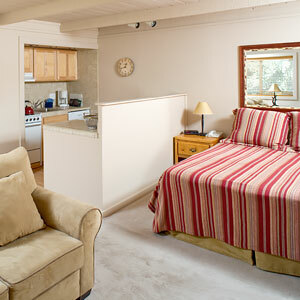 Two rooms with two twin beds each and a shared bath are on the second floor. There's a beautiful porch that's great for enjoying breakfast before you head out for the day. After staying at the Harriman Cottage vacation rental, you won't ever want to leave. 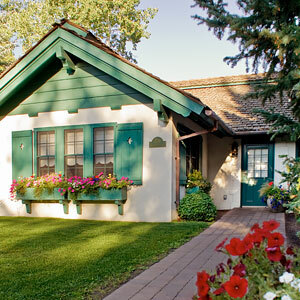 This spacious cottage has five bedrooms, two with king-size beds, one with a queen-size and two with twin-size. 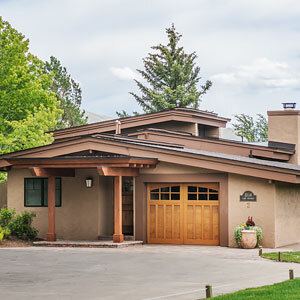 There are four and a half bathrooms, a living room with a cozy fireplace and a big dining room near the full kitchen. Comes complete with a washer and dryer. 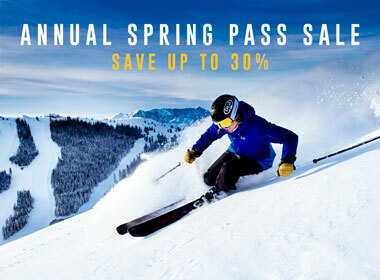 Located near the historic Sun Valley Lodge. The Dollar Cottage vacation rental is so spacious and luxurious, "cottage" may not even be the right word to describe it. There are six roomy bedrooms, one with a king-size bed, three with a queen bed and two with a twin bed in each. 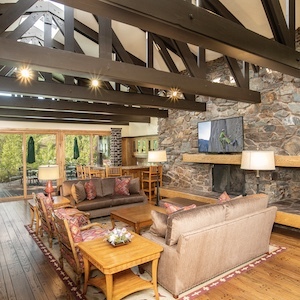 Overlooking the lake, this sprawling residence has a wood-burning fireplace and wet bar in the main living area, a family room, an expansive master suite with connecting bath and a full marble kitchen. Walk outside, and you'll find a Jacuzzi with a view of the lake. Stay right on the lake in this cottage vacation rental. 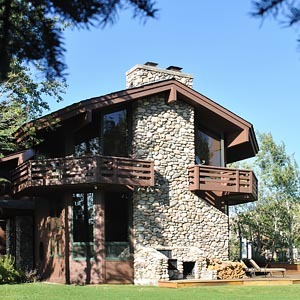 Located on the shores of beautiful Sun Valley Lake, this cottage has five bedrooms with room to sleep 10 people. 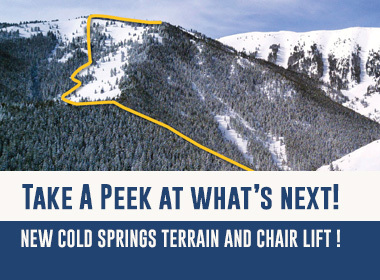 There is a full kitchen, a large dining room, a flat-screen TV in the living room and a wood-burning fireplace that's great for curling up in front of after a day on the mountain. And in the basement, you'll find a convenient washer and dryer. 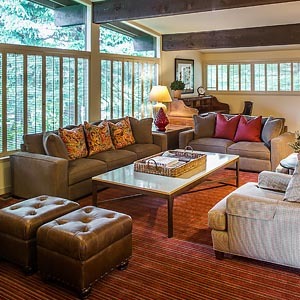 With room for five people, the View Cottage vacation rental is a spacious and comfortable place for your group to gather, relax and enjoy the mountains. It's got one king bed, two queen beds and two twin beds. 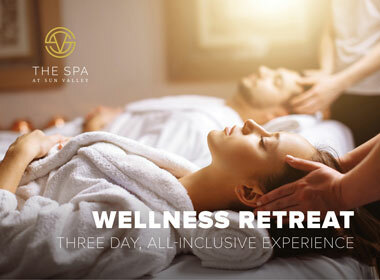 You can soak in the outdoor Jacuzzi tub before curling up in front of the fireplace, and there is a full kitchen and dining room and a convenient washer and dryer. The Symphony Cottage vacation rental is as luxurious as a cottage can be. This newly renovated house has seven bedrooms with nine beds (three kings, four queens, two doubles) and a sofa bed, and overlooks beautiful Sun Valley Lake. 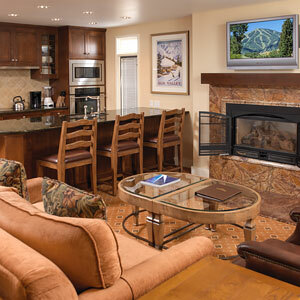 Soak in the hot tub after a big day on the mountain before curling up by one of the three cozy fireplaces. There is a full kitchen and a spacious sunken living room that comes complete with a wet bar. 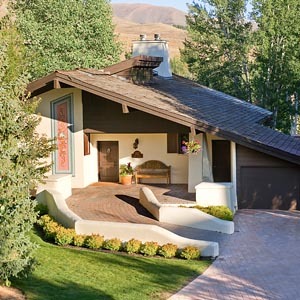 With a location you can't improve on, right in the heart of Sun Valley Village, the Eccles Cottage vacation rental has five bedrooms with nine beds total (one king and eight twins). 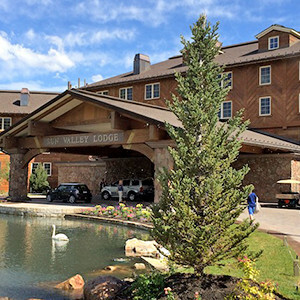 Overlooking Sun Valley Lake, this spacious house has a cozy wood-burning fireplace in the living room and a dining room with a table that seats 10. Walk outside to the deck and you can take in the view of the lake while grilling on the barbecue. Comes with a convenient washer and dryer.